Heat oven to 400°F. Mix together sugar, balsamic vinegar and salt; add cranberries and toss to coat. Pour cranberries onto a rimmed sheet pan and roast for 5 minutes. Stir cranberries and place back in oven. Place brie in oven at the same time on a separate pan lined with parchment paper. Heat both for 5 minutes more. Remove both pans from oven and allow to cool for 2-3 minutes. 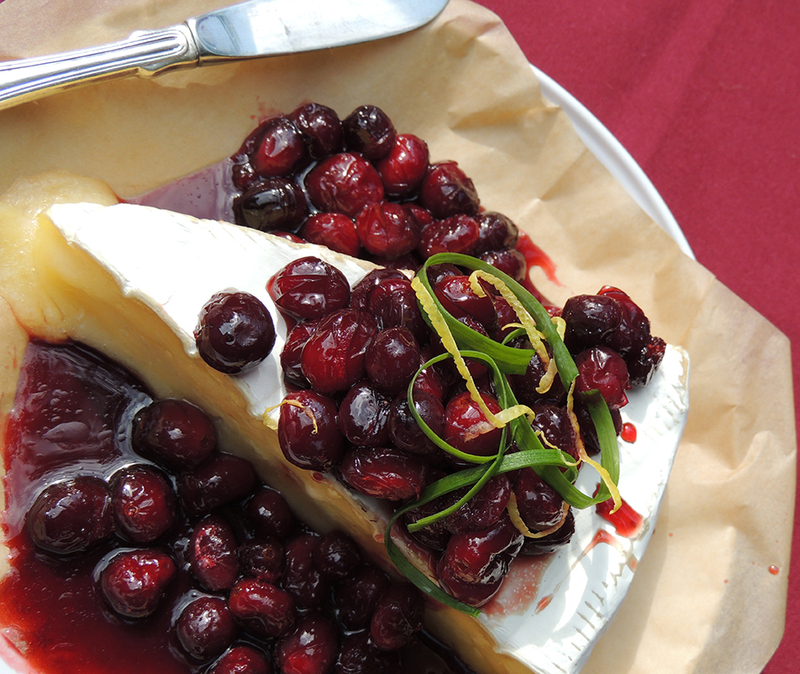 Place brie on a plate and top with roasted cranberries and lemon zest. Serve immediately with crackers and/or bread.